Can I use my Medical Savings / Flex Spending Account for LASIK? Can I have standard LASIK now and CustomVue™ Wavefront™ LASIK later if I change my mind? Can LASIK be performed on both eyes at once? Why should I choose Karlik Ophthalmology for laser vision correction? What type of laser does Karlik Ophthalmology use for laser vision correction? Will I achieve 20/20 vision after LASIK surgery? How can I learn even more about laser vision correction? In most cases, yes! Check with your employer or plan provider to verify the details of your plan, but this is a great way to pay for LASIK using you pre-tax income. LASIK stands for LASER IN-SITU KERATOMILEUSIS. The procedure uses a computer-controlled excimer laser to reshape the cornea to correct your vision. The laser reshaping is done under a protective flap of tissue to promote a very rapid recovery of vision and minimize discomfort. How long has LASIK been performed? The first keratomileusis procedure was done on humans in 1963. The procedure has evolved and improved since then. The excimer laser has been used for over 10 years and has received FDA approval for photorefractive keratectomy (PRK), a procedure in which the laser is used to sculpt the surface of the eye. Eye surgeons have been creating a protective flap of tissue for over 30 years. These two techniques were first combined in 1991 to create a new form of refractive surgery -- LASIK. Most of the experience with LASIK has been obtained outside of the United States, where regulatory oversight is not as stringent. Who is LASIK useful for? LASIK can be performed for a wide range of nearsightedness, farsightedness and astigmatism. Astigmatism can be corrected by using a laser with software that is capable of ablating an oval pattern on the cornea. Our Lasik Ophthalmologist Dr. Jeffrey Karlik performs the LASIK procedure. How can I get more information about refractive surgery? 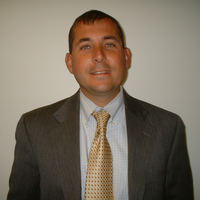 Chris Hussar is the LASIK Coordinator and can be reached at (412) 931-8101. In order to determine whether you are eligible for laser surgery, you must have a consultation and comprehensive pre-operative exam. Please contact us if you have questions or wish to schedule an appointment. What is done at a pre-op exam? A complete eye examination and specialized computer measurement of the shape of your cornea is performed. 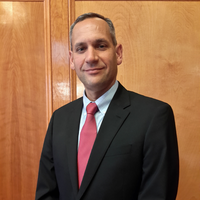 Dr. Karlik reviews this information in light of your visual needs for work and leisure and provides you with options and recommendations for refractive surgery. It may be necessary for your contac lenses to be removed for a period of time in order for your cornea to return to its natural shape by the time of this examination. Dr. Karlik will discuss this with you at the time of your consultation. You will be in the surgery room approximately 15 minutes to complete the procedure on both eyes. Expect to be at our surgery center approximately one to two hours. Anesthetic drops allow the operation to be performed without pain. It is normal to feel some pressure during the procedure. Afterwards, the eye is a bit scratchy, but patients typically do not require any pain medications and are often able return to work the day following the procedure. What are the restrictions following surgery? You must wear a protective shield the first two nights following surgery. You should not swim or get into a hot tub for two weeks after surgery, although bathing and showering is fine. All other activities -- including exercise -- may be resumed on the first day following surgery. After laser vision correction is performed, patients are sent home with a sleeping pill and are asked to rest with the eyes closed as much as possible until the follow-up visit the next day. Patients with lower amounts of myopia may have vision good enough to drive the next day but should be cautious. Patients who have higher degrees of myopia may actually be overcorrected initially and may experience somewhat blurry vision. This usually lasts for days to weeks depending on the amount of correction. Most patients return to work the day after the procedure, if your vision permits. How long is follow-up needed? Follow-up checks are required at approximately 1 day, 1 to 2 weeks, and 3, 6, and 12 months. These examinations are included in the charge for the procedure. What are my chances of not wearing glasses after the procedure? Yes, the extremely low complication rate has been a primary reason for the popularity of LASIK worldwide. The risk of a serious problem resulting in any loss of vision is about 0.01 percent. More common but less serious problems include under or over corrections, flap-related problems, infection, dry eyes, and night vision problems. There is minimal discomfort with LASIK. Some patients even report absolutely no discomfort during the laser vision correction procedure. At Karlik Ophthalmology, topical anesthetic (numbing) eye drops are used prior to the procedure. As the microkeratome is applied to the surface of the eye, some patients may experience a pressure sensation. The cutting of the flap itself is painless, as is the laser treatment. After laser vision correction, some patients may experience a foreign body sensation, like an eyelash in the eye, for several hours. Most patients are opting to have LASIK performed on both eyes on the same day, although this is an individual choice. Advantages include convenience, decreased time lost from work, and easier visual recovery because there is no imbalance between the two eyes when they are both corrected. Disadvantages include safety concerns (for instance, in the rare event of infection, both eyes may be affected) and accuracy concerns (if an overcorrection occurs in one eye, it is likely to occur in the other). An ophthalmologist at our laser vision correction offices can further discuss the advantages and disadvantages of having LASIK performed on both eyes during one visit. After laser vision correction is performed, patients are sent home with a sleeping pill and are asked to rest with the eyes closed as much as possible until the follow-up visit the next day. Patients with lower amounts of myopia may have vision good enough to drive the next day but should be cautious. Patients who have higher degrees of myopia may actually be overcorrected initially and may experience somewhat blurry vision. This usually lasts for days to weeks depending on the amount of correction. Prescription eye drops will be used for one week following the surgery at which time the patient will be seen again. Barring any difficulties, the follow-up visit will be at one to two weeks. 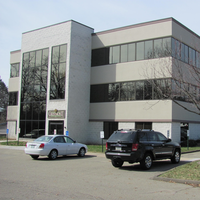 By affiliating with the LASIK Vision Institute of Pittsburgh, Karlik Ophthalmology is one of the most experienced providers of laser vision correction in the tri-state area. Our affiliation with the LASIK Vision Institute of Pittsburgh allows for continuous investment in the latest technological advancements, which ensures the latest and most advanced lasers and treatments will always be available to our patients. 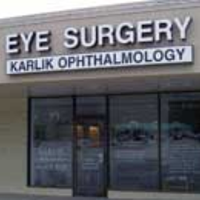 Additionally, Karlik Ophthalmology offers comprehensive medical and surgical eye care. In keeping with this comprehensive philosophy, our refractive surgeons offer all currently available refractive surgical procedures. At Karlik Ophthalmology, we currently use the WaveLight Ex 500 Excimer Laser with pupil tracking. The laser is kept in a dedicated laser suite, which constantly monitors temperature and humidity to ensure the highest possible accuracy in our treatments. The most important thing a patient must have prior to any refractive surgical procedure is realistic expectations. The goal of these procedures is to decrease one's dependence on corrective lenses (glasses or contact lenses). The vast majority of our patients (approximately 98 percent) will see 20/40 or better after LASIK, but there is no guarantee of the outcome. 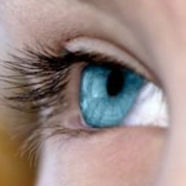 In addition to the many variables related to the surgery itself, every eye heals differently. If the vision is not satisfactory after the initial treatment and there is a residual refractive error, this can possibly be corrected with a retreatment (enhancement). It is also important to know that the correction of distance vision is independent of near or reading vision. The inability to read without glasses (presbyopia) normally occurs after the age of 40 and this is not corrected by refractive surgery. In addition, the correction of the distance vision in many patients over age 40 may result in the need for reading glasses at an earlier age. When will my vision stabilize? After LASIK, vision usually stabilizes very quickly. Our results indicate that there is little or no change after the two week post-operative examination, however it is possible for your vision to fluctuate for up to three months after your surgery. What is the percentage of patients that need enhancements? The national enhancement rate is around 5 to 10%, and Dr. Karlik's enhancement rate is below the national average. Enhancements are performed after the three month examination. The likelihood of needing an enhancement is dependent on the degree of refractive error. Patients with a higher degree of myopia or hyperopia are more likely to need an enhancement. Enhancement procedures will be performed at no additional charge if performed within 12 months of the initial surgery. Like any surgical procedure, LASIK carries some risk of complications. Risks include an infection which could damage your cornea and result in loss of vision, although this is extremely unlikely. As part of your evaluation for the procedure, we will give you an informed consent document which details potential risks and complications of surgery. LASIK does not modify the cornea in a way that would prevent contact lens wear. However, many patients elect to have refractive surgery because they were unable to wear contact lenses. In this case, you can expect to have problems after the surgery just as you did before it. To date, there is data reflecting over 15 years regarding LASIK. All studies show that LASIK is a permanent procedure. Both procedures use the excimer laser to reshape the cornea and correct nearsightedness. The difference is that, in PRK, the laser is used on the surface of the cornea and, in LASIK, the laser is performed under a protective flap of tissue. Our surgeons believe that the use of the laser under a protective flap produces faster visual recovery and less pain. In PRK, the laser is used on the surface of the eye, and it takes several weeks for the surface to heal and become smooth, allowing good vision. Steroid drops are necessary (usually for about six week) to help regulate healing. For reasons of patient convenience, LASIK has become the refractive surgical procedure of choice in the United States. However, PRK is the preferred procedure for many patients for reasons ranging from occupation, amount of correction, or corneal anatomy. Both LASIK and PRK procedures can be enhanced, if necessary. The costs of a LASIK or PRK procedure are identical. What are the costs of the surgery? The cost of the procedure is reasonable if one considers the costs associated with glasses or contact lenses over one's lifetime. Cost reflects a “global fee” which means that the one cost is all inclusive. The costs include the pre-op exam, surgery, post-operative kit and sunglasses, follow up care for 1 year, and any enhancement treatments if necessary during the first year. It does not, however, include the cost of temporary glasses or prescription pain medicines. The global fee does not include the cost of any unrelated eye disorders which may arise. However, these visits would be billable to one’s medical insurance. We have multiple payment plans available. The Refractive Surgery Director can review the options with you. The cost of the procedure is reasonable if one considers the costs associated with glasses or contact lenses over one's lifetime. Although many patients pay the costs up front, financing options are available. We will be more than happy to discuss financing and other payment options for laser vision correction. Contact us for more information on laser vision correction. You may qualify for an examination free of charge with our surgeon. The examination will include dilation of the eyes, measurement of the cornea, and a review of medical history to check for pre-existing diseases. It is imperative to discontinue the use of contact lenses (at least two weeks for soft lenses and four weeks for rigid gas permeable lenses) prior to the evaluation in order for the cornea to return to its natural shape. After your visit, you may continue using the contact lenses again, but will be asked to remove them at least several days before the laser vision correction surgery.